Club Penguin Cheats by Mimo777 Club Penguin Cheats by Mimo777: New Club Penguin Message! But for some reason it says sent May 17? Whatever. 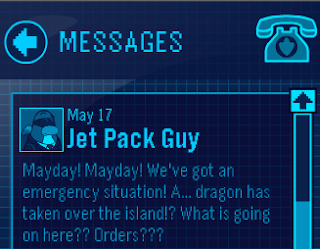 You are just a little late there, Jet Pack Guy. Or way early? Hey mimo one of my non member accounts was allowed to battle scorn and get the pin. But my other can't why not? Either one of your accounts was a member by accident or it was just a glitch to get your penguin in member places.